BRYAN (US) - Ingersoll Rand, a global leader in compressed air and gas systems and services, power tools and fluid and material handling equipment, will showcase its latest ARO(R) fluid management pump and pump control technologies at the ACHEMA World Forum 2015 in Frankfurt, Germany, from June 15-19, 2015. ARO’s fluid intelligence experts and leadership team will be available to media and visitors to provide information on the latest innovations and solutions from the company’s portfolio of air-operated diaphragm pumps, piston pumps and systems, powder pumps and control devices. New products will also be introduced at the show. 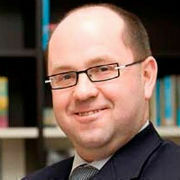 "It has been a remarkable year for ARO. We've introduced new products and we celebrated our 85th year of developing products that deliver reliable performance and serviceability for lowest total cost of ownership, which is what our customers look for," said Donny Simmons, President of Ingersoll Rand Fluid Management and Material Handling. "We're looking forward to sharing our latest products and expertise with visitors at the ACHEMA World Forum." 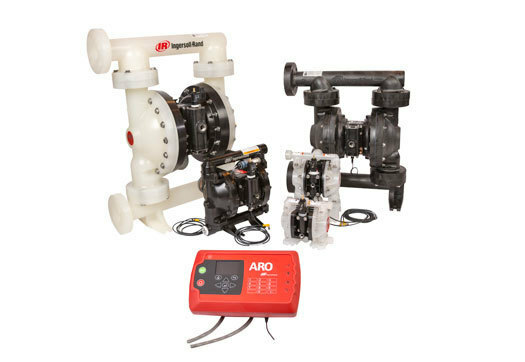 - The ARO Controller is the world’s first closed-loop controller for air-operated diaphragm pumps that delivers on touch-and-walk-away automation. The dual-pump Controller features remote triggers that can perform auto shutdowns and display critical operating data and service alerts to operators via a control-panel display. When paired with an ARO EXP Series Electronic Interface pump, the Controller provides an automated system for batching and container and tank filling with plus or minus one percent repeatability. - Pumps from the line of EXP Series Electronic Interface pumps will include the one-fourth- through three-inch air-operated diaphragm pumps. These units are known for their industry-leading efficiency, reliability and value based on their low total cost of ownership and controllability. EXP Series pumps offer flow rates up to 1041 LPM (275 GPM) within a large range of materials of construction and porting configurations. - The ARO two-inch powder pump helps operators replace manual powder processes with a highly reliable transfer process that reduces airborne contamination and powder “pack-out.” Simplicity and portability are hallmarks of the pump, and features such as a patented stall-free major air valve and a four-way efficiency valve make it a performance powerhouse. Executive interviews are available upon request.